Van Egmond White Peat Moss is extracted from the top layers of a peat field, giving it a light colour and a coarse structure. Its acidity (pH) ranges from 3.5 to 4.0. The main characteristic of White Peat Moss is its high water absorption and distribution capacity. White Peat Moss can be used to improve substrate structure and to cover bulbs and frost-sensitive crops. Due to its low acidity, White Peat Moss is also suitable for plants that prefer acidic soil, such as heather, rhododendron and azalea. 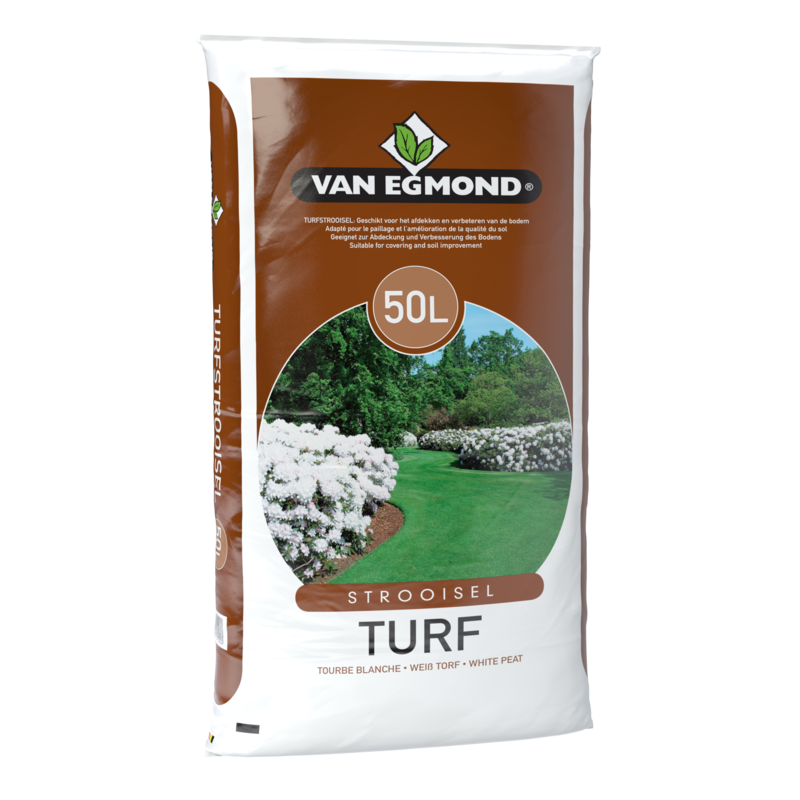 Van Egmond White Peat Moss is available in bags of 50 and 70 litres. Order white peat moss directly through our order form!